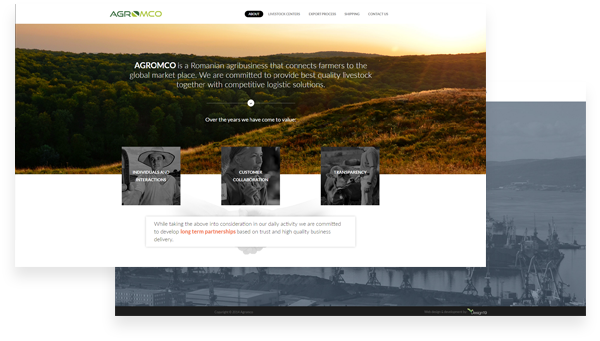 AGROMCO is one of those local agribusinesses that make the lives of our farmers easier and their businesses more sustainable and profitable. 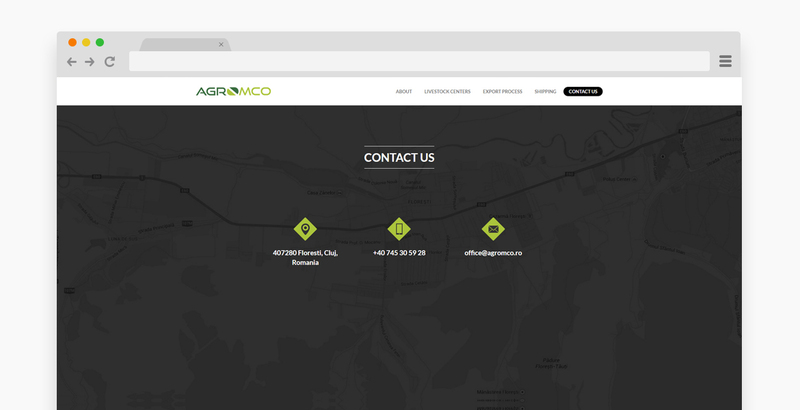 A company with tradition in Transylvania, it needed, deserved, and got the online presence that would spread the word about its contribution to the local community. 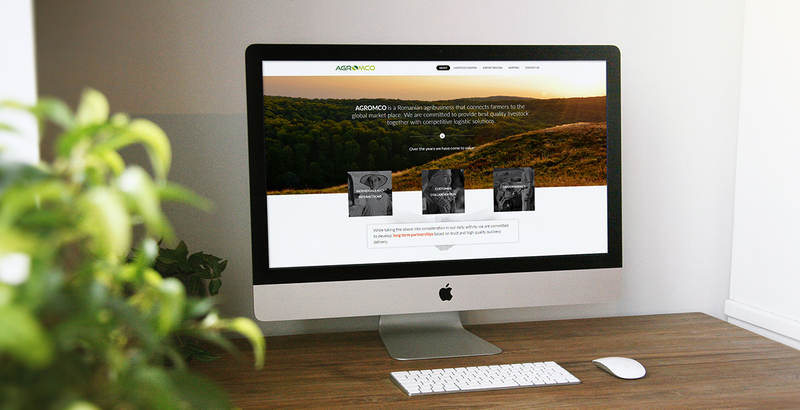 With the client being more focused on action than words, we had to rely on meaningful and impactful images. 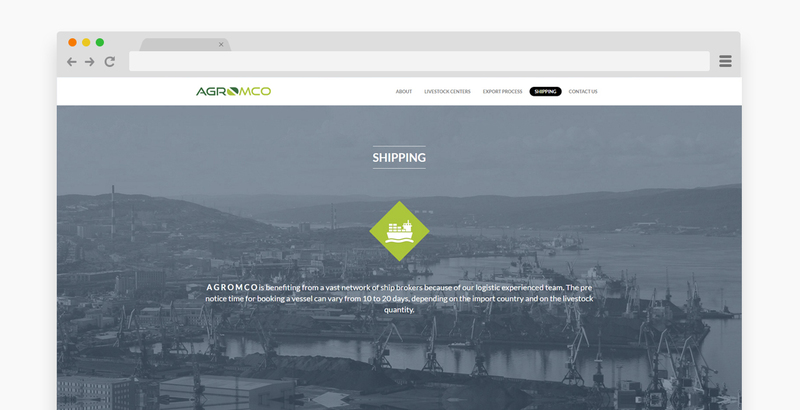 Striking the right balance between visual representations and useful information was the main challenge of building this presentation website. 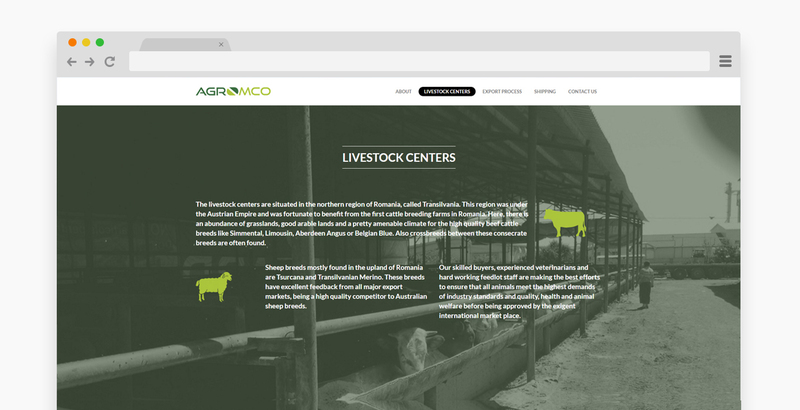 After a detailed discussion with their team and getting to know the specifics of their business, we decided to develop a template based on full page images. Nevertheless, graphics had to set a context rather than to distract the focus from the condensed information. Following the same principle of simplicity, we opted for a classic menu consisting of the 3 most representative aspects of their activity. The implementation stage of this project actually ran smoothly. 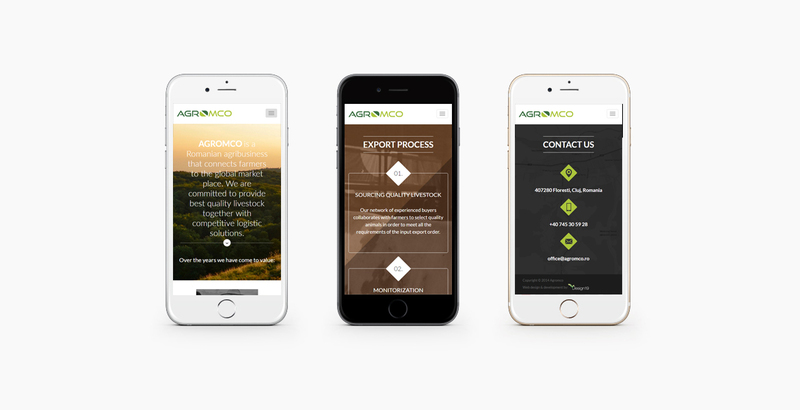 Once our developers and designers agreed on the fundamentals of the presentation, everyone did their part, with a particular focus on implementing a responsive design. 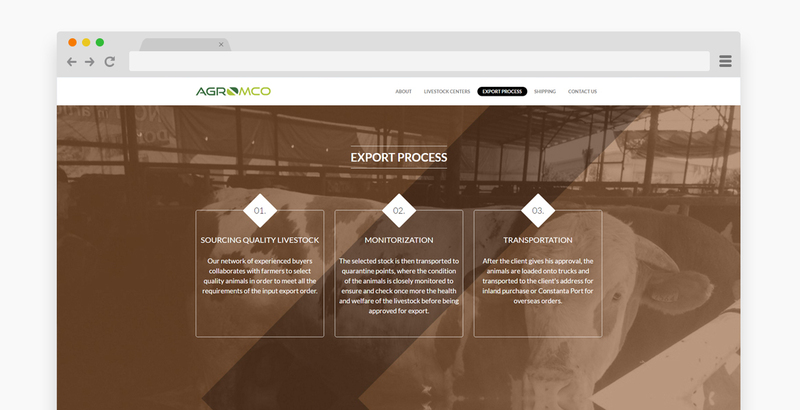 As suggested, we worked specifically on the visual strategy and we had to make sure that these large, full-page images we included will not interfere in any way with the website’s functionality on any device. 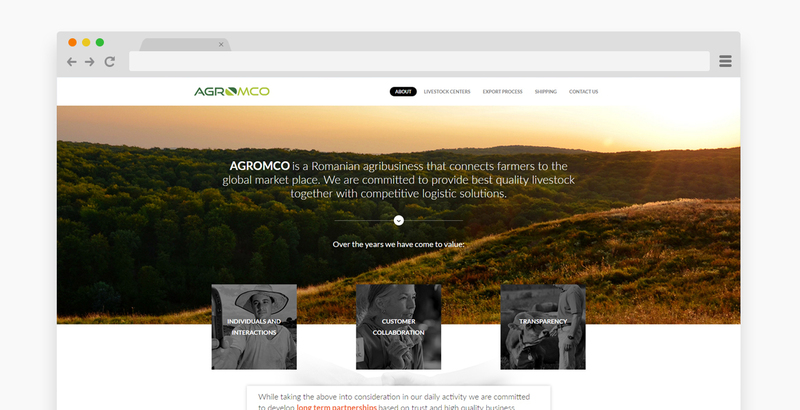 AGROMCO makes a difference for Romanian farmers and we were more than happy to contribute to it. Their requirements were simple, but the effects became impactful, just as we committed to. Simple, clean and unique website design.